Do you think we made enough noise? It's hard to find someone who was 100% thrilled with EA's BF1, I know they exist but they're not common. They know we're mostly on a scale of disappointed to annoyed. While they're working on BF2 now I'm wondering how much they've actually taken on board from here, from Reddit, from YouTube and social media. How do you rate your chances of getting Conquest? Or your favourite omitted hero, or map? I know it'll have cost $240 to get there, but I'm cautiously optimistic about a few things and less so about others. Like they surely can't neglect space battles, but I'm less confident about getting my favourite fishy Admiral. What did we shout about loudly enough to expect a result and what do you feel might have got lost in the noise? I hadn't played Pandemic's Battlefront and Pandemic's Battlefront II in ages, as I've just been playing EA's Battlefront, but yesterday, I pulled Pandemic's Battlefront and Pandemic's Battlefront II out of my closet and dusted off my PS2 and had a go of it. Man, I really had forgotten just how awesome Pandemic's Battlefront and Pandemic's Battlefront II were. The Level of Intelligence of the AI Bots in Instant Action, the ability to play whatever Map in the game that you wanted in Instant Action, the ability to play as a Wampa or as an Ewok, seeing and interacting with Tautauns, Gamorreans, and other Life Forms within the game, being able to enter and exit a Star Ship from inside your Capital Ship and being able to board an enemy Capital Ship and cause mayhem, seeing an actual living and interactive Rancor, having many more Heroes to choose from to play as, being able to battle across Multiple Star Wars Eras, having way more Vehicles at your disposal, having plenty of Planets/Locations to choose from, getting to play Galactic Conquest again, etc., etc. I really pray that EA/DICE have listened to everything that fans/players have said in feedback across various mediums for the whole time that EA's Battlefront has been out and that EA's Battlefront 2 will be everything that it should be. I guess we'll have to see, but it's encouraging to hear about a Single Player Campaign and Multiple Eras being added to EA's Battlefront 2. I don't think so. They seem to be living in a different world. No. If Dennis is still involved or allowed to make decisions about the Battlefront Franchise then we lost. The only dev who seems connected with the community is Guillaume. Good knowing we'll have him as Hero Designer for the sequel. We'll see in time how Linus™ turns out to be regarding the community. It would be a mistake to market this game as casual for children. I hope it is more skill based. If anything, like I said before, the devs heard that players really wanted a more Substantial Single Player/Offline Experience, so there will be a Single Player Campaign (and, hopefully, another Skirmish/Instant Action Mode). Also, the devs heard that players wanted to fight in other Eras, so, EA's Battlefront 2 will have Multiple Eras. Other than that, it will be a wait and see to determine if the developers listened or not. I also hope there's more skill involved. A lot more. Yes. Playing Battlefield has showed me that a skill based game is better than a casual game. Its more fun and team based. I dont enjoy SWBF anymore. There just isnt any susbtance that make it strategic or team based. Beautifully said. I hope DICE actually listened to us this time. About what EA/TheVestalVikings says very high. Regarding to Dennis Tweet very low. 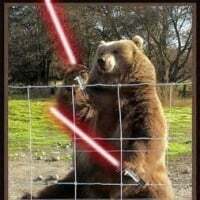 To be quite honest, if they made a stand alone game called "Star Wars:Heroes vs Villains" by EA. That game would sale like hot cakes. The added bonus being, we get a Real Battlefront and "Heroes vs Villains" itself gets the attention it deserves. It would be easier to balance both games and both could reach their true potential. There's more than enough Star Wars fans and Outlaws *wink, wink* to support both. No. I honestly don't think they've taken much from us even though they said they have. We're going to get another cash grab game but with a little more content at release and a campaign. This would be real cool! You have accepted the truth, @Jrob122, fall from high, you will not. Fooled again, you will not. "we can't wait to show you how little we care about what you want"
I would like to think so, but with these devs you never know. We've made plenty of noise, but who knows if they'll actually listen and act on it? I would sure hope so. Your kidding right?! I was part of that tournament last weekend and he tweeted that recently?! Because if EA's servers only one round even worked! They'd be stupid to ignore us this time around. They know what we want, campaign and instant action mode with all maps and modes at launch. Simple as that. If they don't deliver im going to be surprised this time. They better not poop out another half **** skirmish mode again, because then it'll be sad. The question is: What will we do if in the next game Conquest and Space Battles are still missing? They'd be **** to ignore us this time around. They know what we want, campaign and instant action mode with all maps and modes at launch. Simple as that. If they don't deliver im going to be surprised this time. They better not poop out another half **** skirmish mode again, because then it'll be sad. 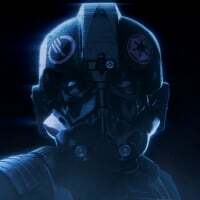 I think that people might be willing to give EA/DICE a second chance to redeem themselves with their Battlefront 2, by at least buying the game used and seeing if the team actually listened and delivered on what the fans want. 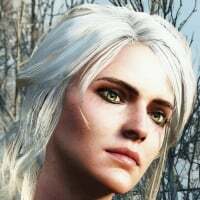 However, if EA/DICE c..r..a..p in the bed again and repeat history by releasing a half way done game with their Battlefront 2, I don't see a successful profit for their Battlefront 3 in their future, but rather, a whole bunch of angry and bitter fans.
. They know what we want, campaign and instant action mode with all maps and modes at launch. Yeah, I'm not a fan of shooting bots. It's great that they're adding it for the many who do I guess. One of the main ones for me is playlists. We collectively made a huge noise about it and I hope it's one they took on board. Right now if all the DLC maps in EABF1 rolled around in vanilla modes I'd have a lot less to complain about. Even Mike approves this message. Vote with your wallets, not voices. I haven't seen as many 1v6s recently, maybe I've just been lucky. My favourite one of those was right after Bespin released, I was Dengar alone against three heroes and a couple of infantry. I stayed at spawn and every time Luke leapt over my cover; thump. OHK. Happy days. "Game is perfect m8 git gud, you pr1k"
"Stop play if you don't like some mechanics"
Now to find someone who likes really the game, i need to deeply search, in some 1 year old threads. A lot have changed, who knows, maybe even in dice something will change. I just saw the thread....... If those people re-visited their comments, many of them would instantaneouly eat their words. Sad to think that ES was not considered a "tool for fools' back then. Now, it is though. Every time I encounter a ES user, I pity them. They always go 15-17 or something similar. If they are that terrible with ES I'd hate to see them without it. Old bnerserkers + diruption user who claimed all was fine, and you needed to adapt and "Use the cycler m8"
See....This is why a casual game is bad. 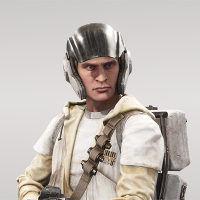 The devs have no remorse putting exploitative star cards in the game, and players who use them will go out of their way to defend them, simply because those are the only ways they can achieve kills. As such....the best part is that they will have no real points to counter any decent argument, and they will resort to "git gud m8," "adapt," "its a casual game," and "who are you to ask for nerfs?" without actually explaining why said card is not exploitative or why it shouldn't be fixed. Its actually pathetic. 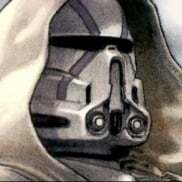 But, hey, at least now we have an established base of players, what I will call the Forum Senate, that will bring common sense to the new wave of players once SWBF 2017 hits in November. We will put some of those scrubs in their place if they have no substance to back up their arguments. But, hey, at least now we have an established base of players, what I will call the Forum Senate, that will bring common sense to the new wave of players once SWBF 2017 hits in November. We will put some of those scrubs in their place if they have no substance to back up their arguments. They will pay for their lack of vision. Agreed. We have to use this video everytime we do so.